How many times have you found a half-opened and fully forgotten box of stale cereal in your pantry? And how many times have you bought a new bag of flour at the store only to come home to find that you have two other, almost full, bags waiting for you on the back of the shelf? We've all be through this pantry struggle. Since the pantry acts as a home base for pretty much everything you need to prep, cook and snack, it becomes a disorder breeding ground. 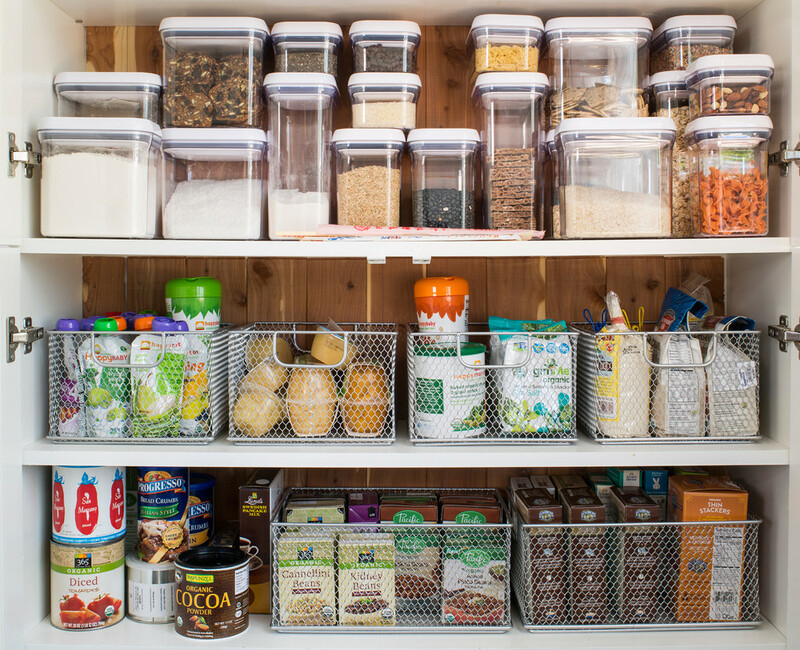 But, you can conquer this pantry disorder, and all it takes are a few of our quick tips. Read them, below! Clean Everything Out The first step in complete pantry organization is removing all of the items inside of said pantry — set a staging area on a dining room table or any flat surface. Discard all of your out-of-date items and donate non-perishable items that you won't realistically use to a local food bank (cleaning out and doing good never seemed to easy). Once you're finished with the "clean out" phase, you can accurately assess what you have, how you can group and what you need going forward. Line the Shelves Before you place anything back on your pantry shelves, line them with a heavy-duty liner that will make clean-up of any spills much easier. Though we don't anticipate setting you up for spills or messes of any kind, accidents do happen and liners make those a breeze to clean up. Our Zip-N-Fit Solid Grip Liners are perfect solutions for your pantry shelf needs. It's scored into tiny squares so it tears in straight lines, both horizontally and vertically-no scissors required. Slightly padded, it cushions glassware, dinnerware, canisters and bulk items with ease. Our Zip-N-Fit is just one of the many shelf liner options that we carry. Create Zones Utilize deep and vertical pantry space by creating zones, or groups, for similar items with our handled bins. For example, store your baking soda, salt, baking powder and vanilla in one bin for no-hassle baking every time. You'll find that you'll also save yourself a great deal of time (and even money) if everything is easily accessible. You don't have to spend hours searching for that box of cornstarch you know you had somewhere and you won't have to go out to buy a new box. A see-thru bin is always a great option and a handled see-thru bin is even better. 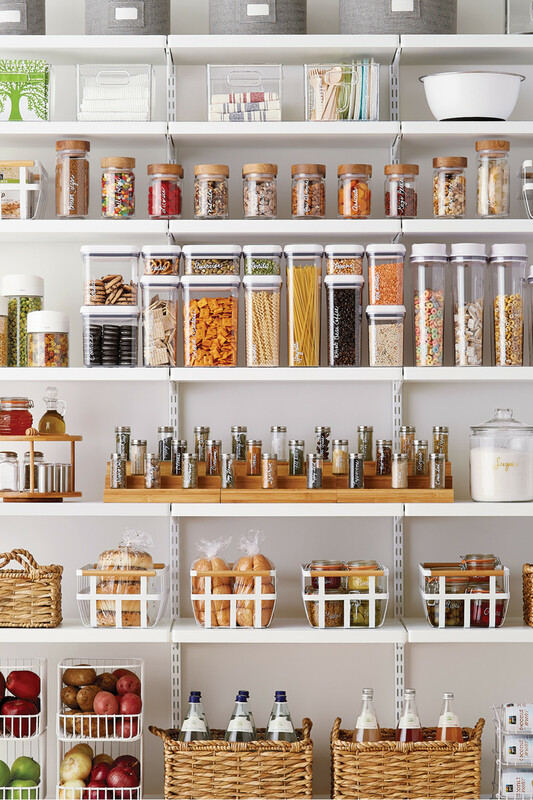 You'll end the pantry search from day one. You Can "Can It" Canned goods can quickly get "lost" on deep pantry shelves since they are all about the same size and shape. Stacking cans one in front of the other isn't practical when you need to find a specific can and have to search through each one. 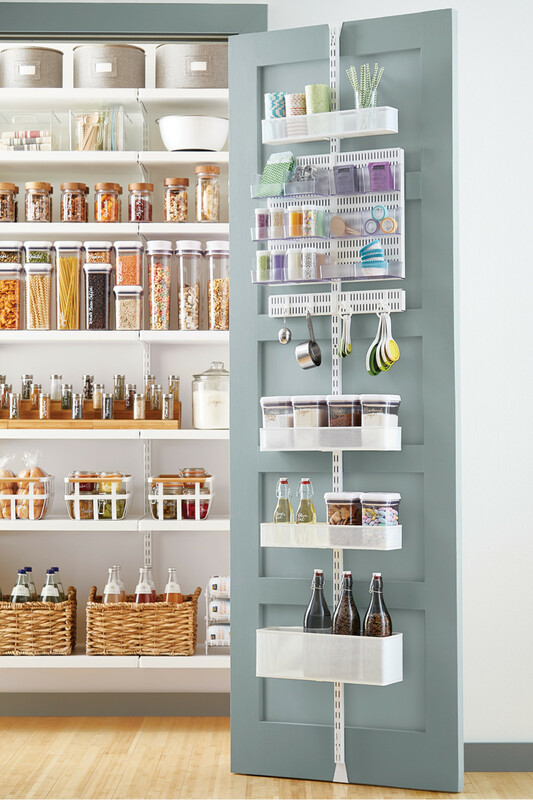 It's easy forget what you've got stored in the back because you can't see it, so choosing a tiered shelf organizer that provides you with a full view of your canned goods is invaluable. We have several options that work with shelves both tall and narrow. Utilize the Door If you have a door in your pantry or kitchen area, don't neglect that often wasted space. Our elfa Door & Wall Rack is designed to fit onto the back of a door. The system's flexible baskets provide you with extra storage space for canned goods and other dry foods, cleaning supplies and even bottles of soda! The rack will ease the overcrowding in your cabinets and make it possible to have everything at your fingertips. 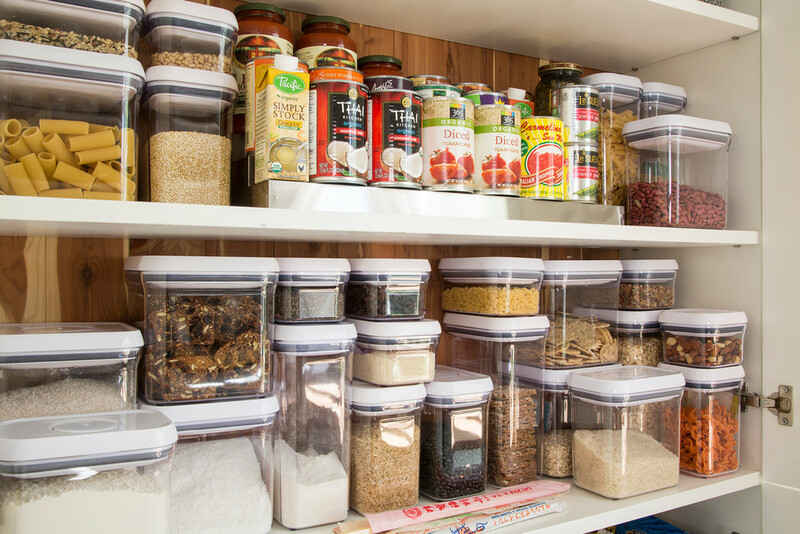 See & Preserve By transferring bulk items into clear and hermetically sealed containers, you'll preserve the freshness and always be able to see when you're running low. Broken flour bags, hardened brown sugar and easily spilled bags of rice cease to exist when they are contained and visible. 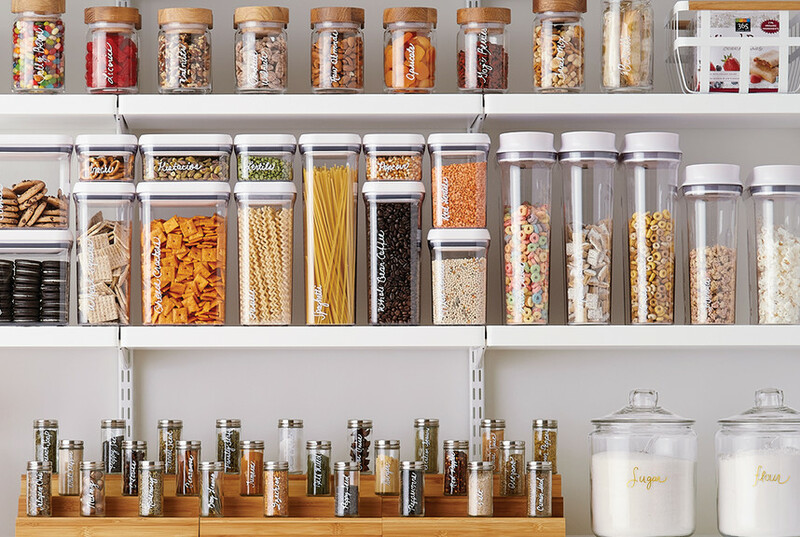 Our OXO Good Grips POP Canisters are particularly well-suited for this job as you can create a completely customized and space-efficient solution for food storage in any size pantry. The innovative lids are designed to provide the highest level of airtight seal and are a snap to open; simply push down on the button and it "pops" up so you can remove the lid.